Oct. 24, 2012. TROPOJE. 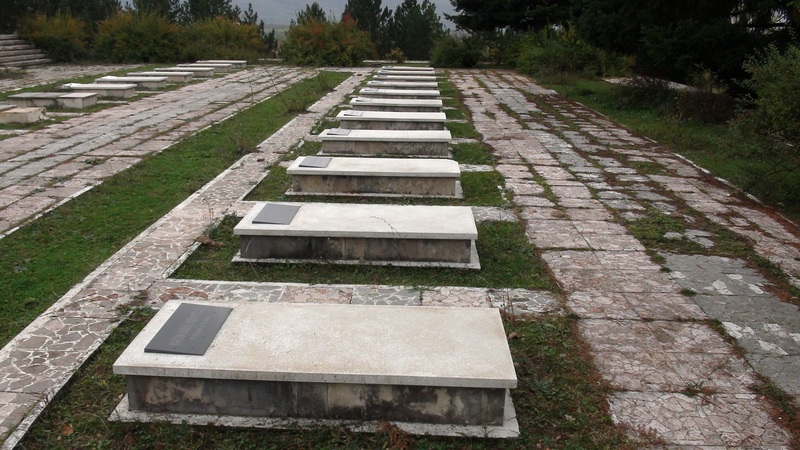 Located along the national road SH22 less than 2km from the City Hall of Bajram Curri is the degrading cemetery of the Martyrs. 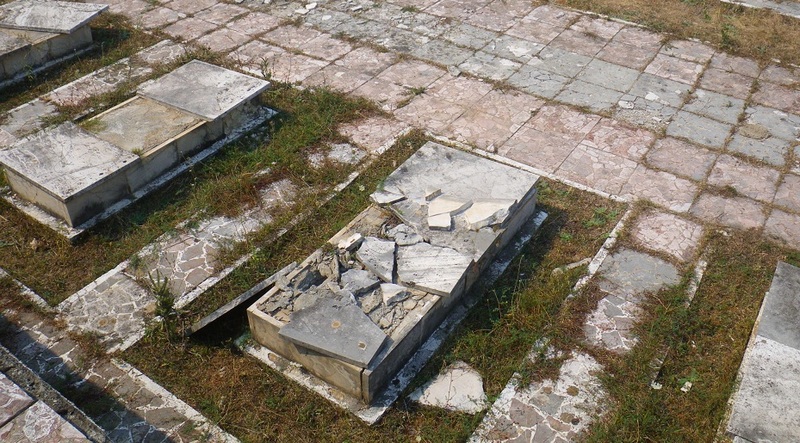 It contains the tomb of man the city was named for, and dozens of others who died in the name of Albania, mostly young men from the region, although Bajram Curri himself was in his early 60s at the time of his death. 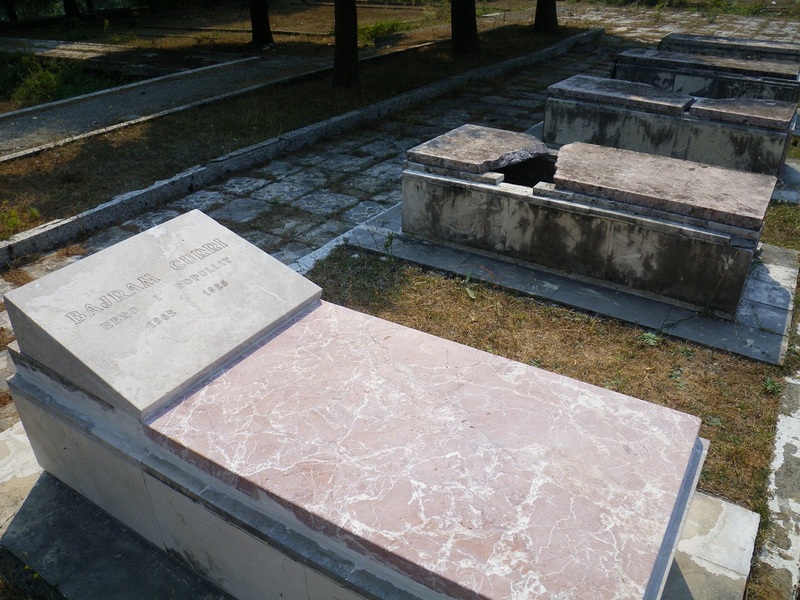 There are the tombs of other well known heroes there too. 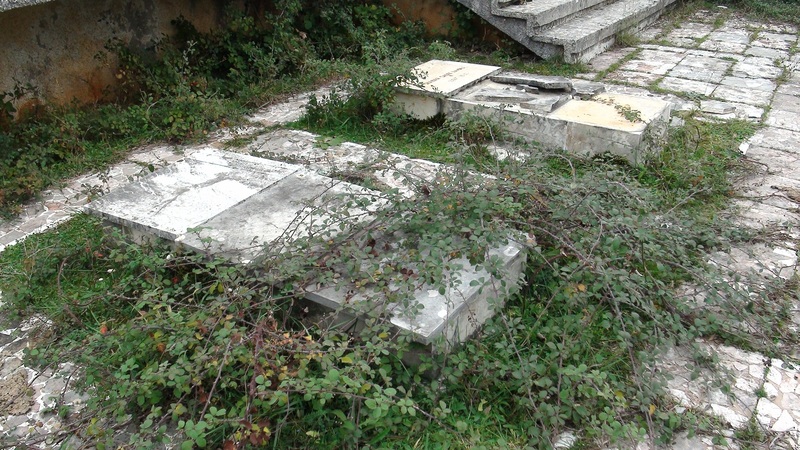 At the back of the cemetery, there is a row of tombs with names like Isa Boletini, Mic Sokoli, Asim Vokshi and Ram Sadrise. 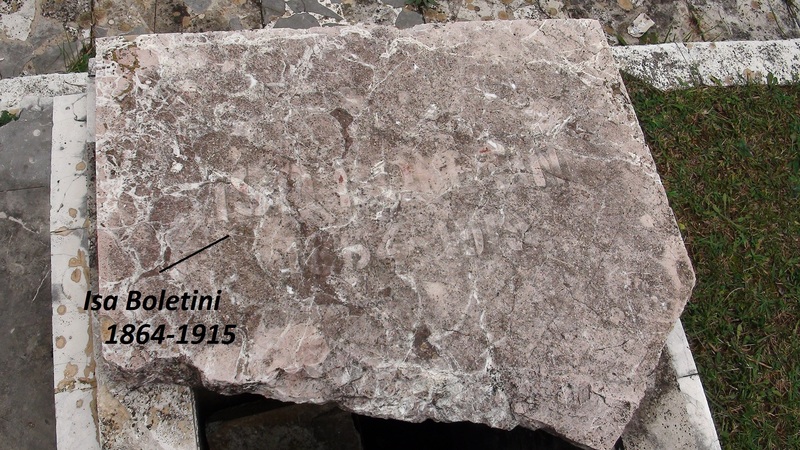 (Scroll down for more about the remains of Isa Boletini, or click here) These are pretty big names in Albanian history – men who fought for the League of Prizren, helped achieve Albanian Independence in 1912, represented Albania abroad, and men who defended the region in WWI. 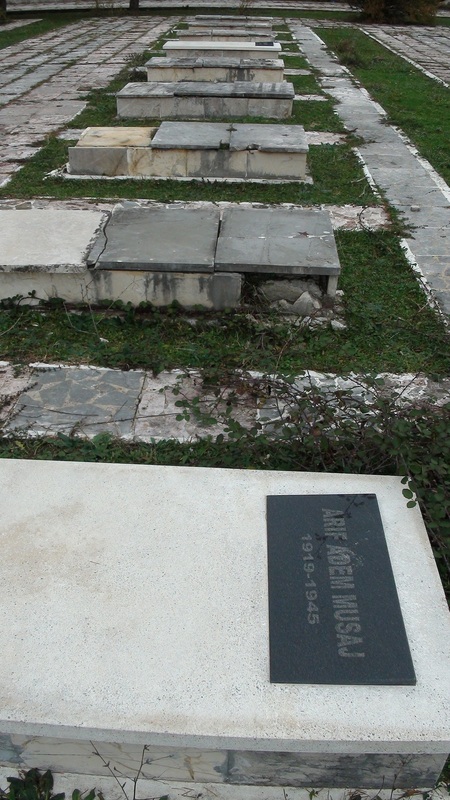 Men with titles like ‘Hero of Albania’, and in the cases of Boletini and Curri ‘Heroes of Kosova’ as well. 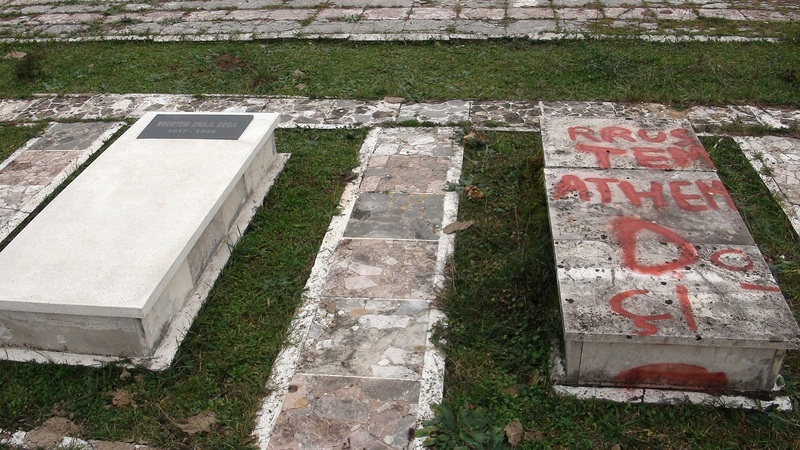 This degradation is indeed troubling in 2012, the year of Albania’s 100th anniversary of Independence, but it by no means began this year. What we see in Tropoje is a result of decades of neglect stemming from social change, going back to the late 1980s. 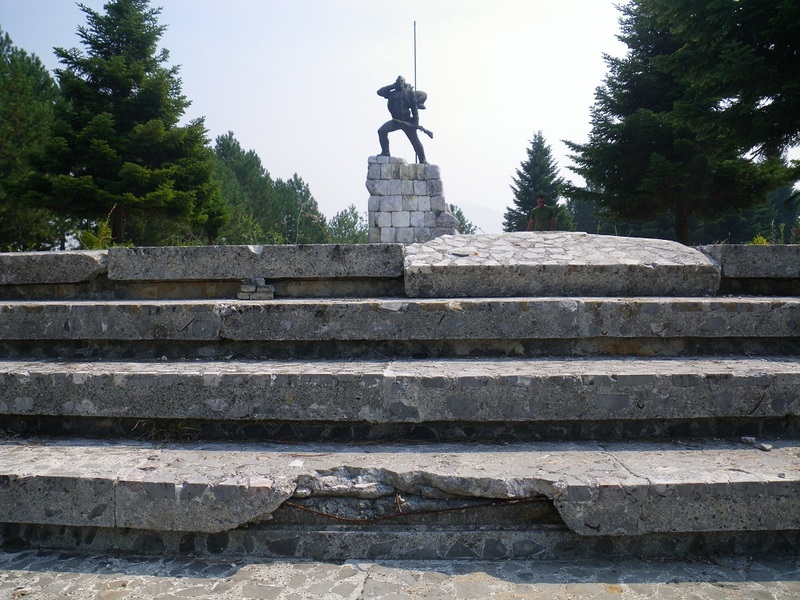 A 2007 article from Gazeta Shqip tells of the TV Show ‘Fiks Fare’ who visited the cemetery in Tropoje for the May 9 anniversary of victory over Nazism. They were scandalized, and their story of a site in total shambles remains true more than 5 years later. There was a similar report published in January 2012 by in the paper Bota Sot, which tells of a group of Finnish tourists who asked to see the cemetery and even the taxi driver was ashamed to take them. 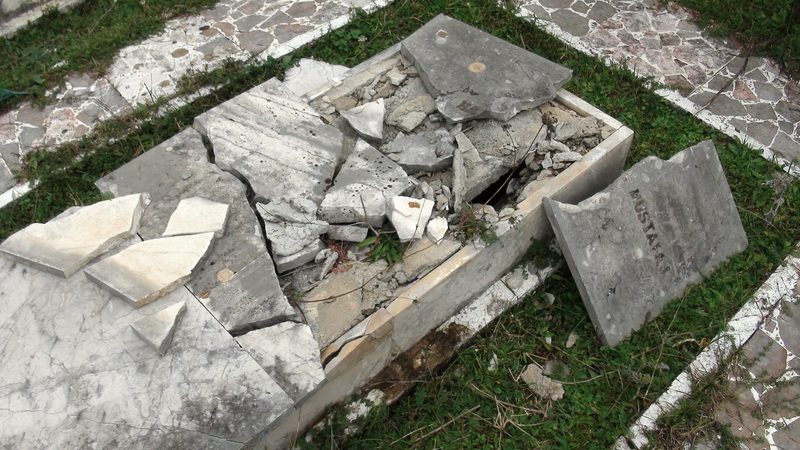 And there is also a Top Channel report that aired in the spring of 2012, which detailed the deteriorating situation of National Martyrs Cemeteries throughout Albania, and the total lack of care for the tombs of the Nation’s greatest patriots. Aside from these and a few similar blog posts, there is very little other information available on the site itself. Quite obviously, nobody cares. 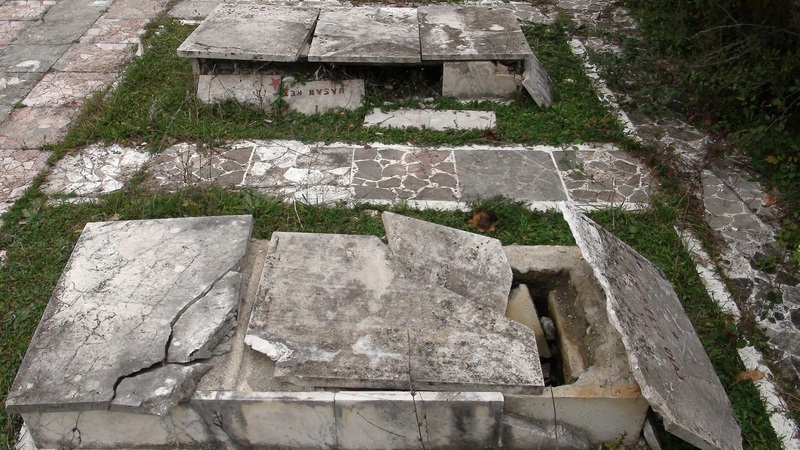 Meanwhile, the stance in Albania is quite different: Ottoman heritage has been elevated to the world stage through the architecture of Berat and Gjirokastra, while local and national heroes look out from their open, un-marked, crumbling graves throughout the country. 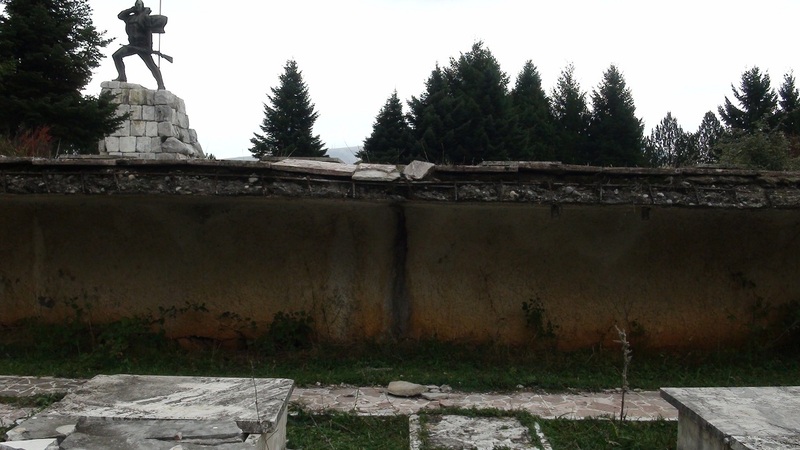 What we see in the Martyrs Cemetery of Bajram Curri is not simply the natural deterioration brought on by weather and time, but also a great deal of human interference, damage and waste. This indicates that the social attitude towards the site has changed drastically, thus erasing the aura the site once held. Have sites like this one acquired divergent historic-political meanings since the 1990s? If so, is this neglect and deterioration simply a by-product of the revision of history, in which these sites are no longer seen as assets, and those interred have lost their value? Or maybe it is just a matter of life itself becoming of less value, leaving the dead as worthless. 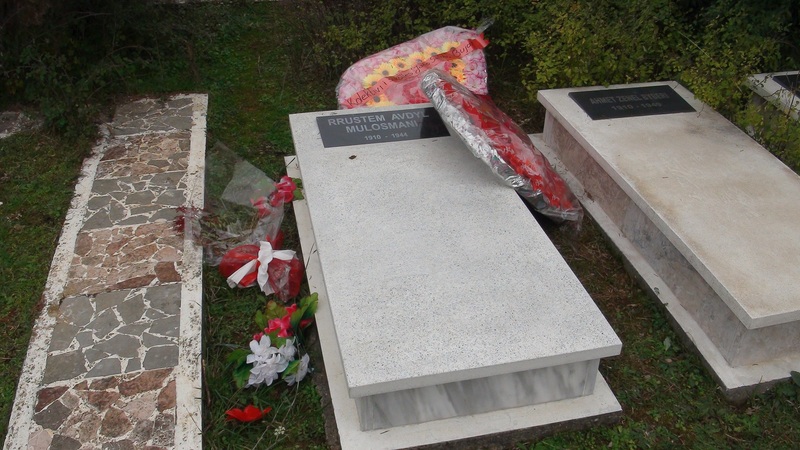 Maybe this is a bit harsh, as there are still a few select tombs that have flowers and words placed atop or beside them, and scattered throughout the site are a few maintained tombs, however the general appearance of the site is a mess. Let us take a look and see what has become of the site. 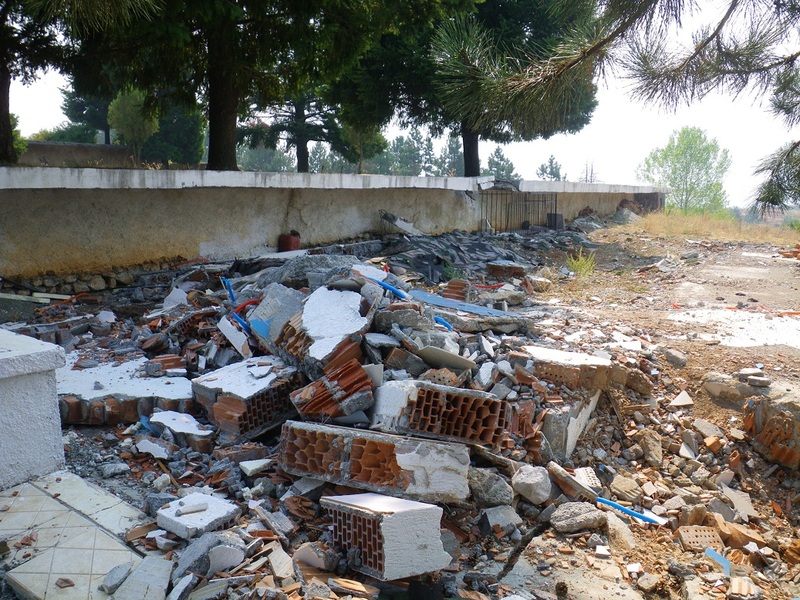 Illegal construction destroyed, waste remains. 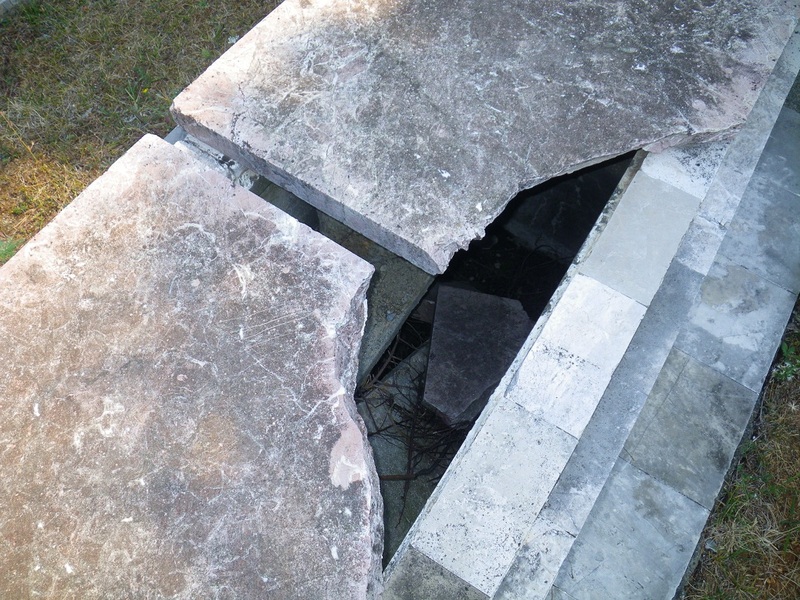 Ceremonial Tomb of Isa Boletini, name barely legible and cover broken. 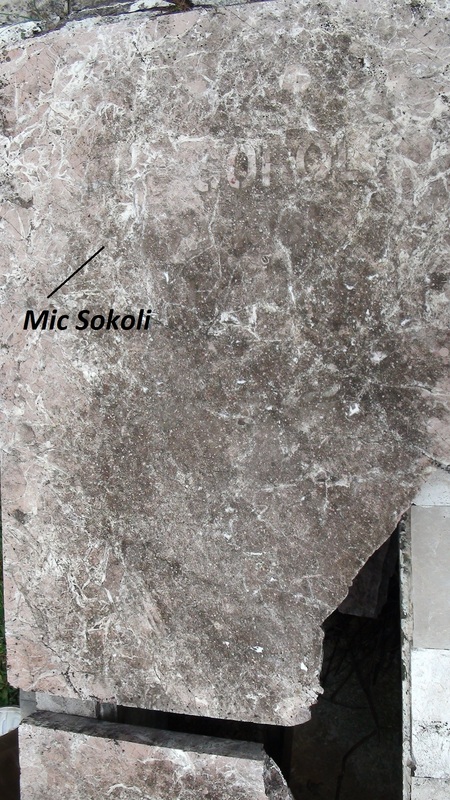 Mic Sokoli, barely legible and broken. 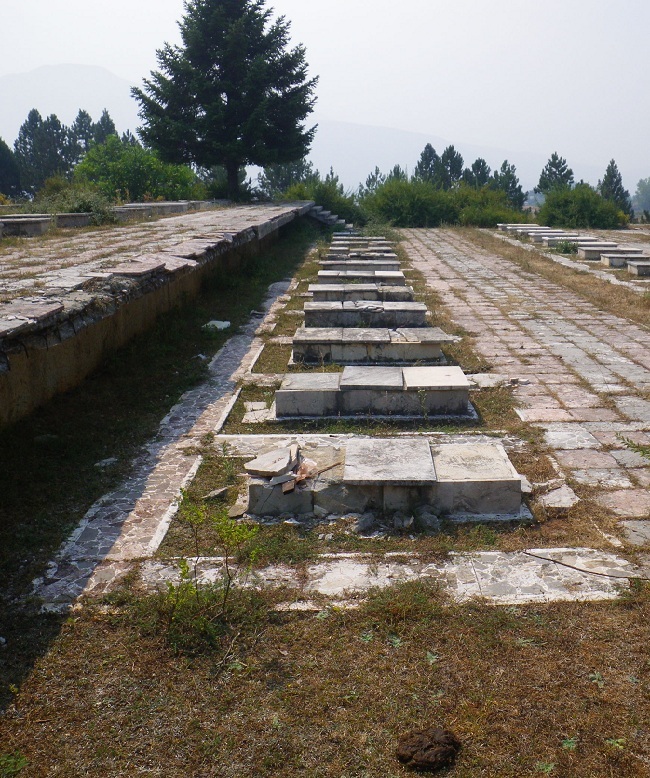 A row of restored tombs. 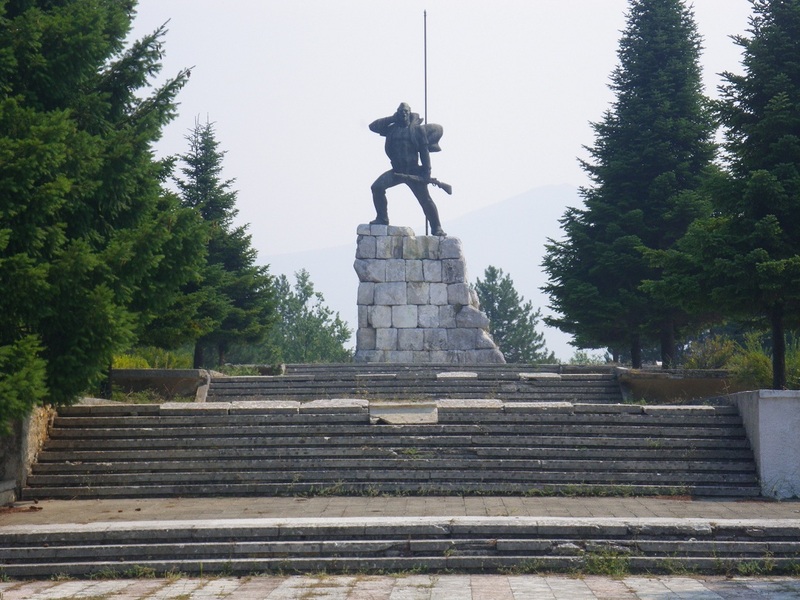 * A summary of the visit of the son and grandson of Boletini to the place where he fell in Podgorica, Montenegro can be found here.